My fiancé and I were craving to try a cuisine that we've never ate before and later agreed to eat Ethiopian food! 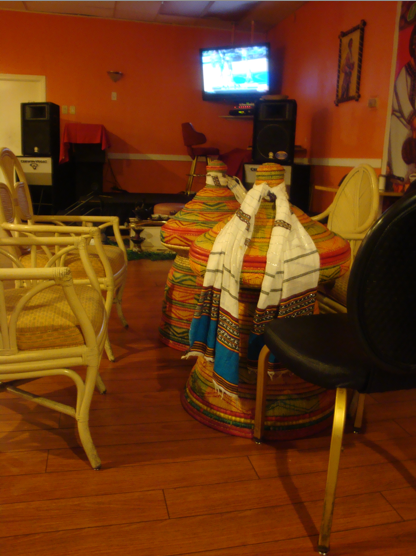 We've read great reviews about Merkato Ethiopian Cafe and decided to check it out ourselves. The staff was very kind to us and shared interesting info about Ethiopian cuisine. On the top left of this photo are rolled pieces of sourdough/crepe like bread called injera. Ethiopians eat this bread with everything. 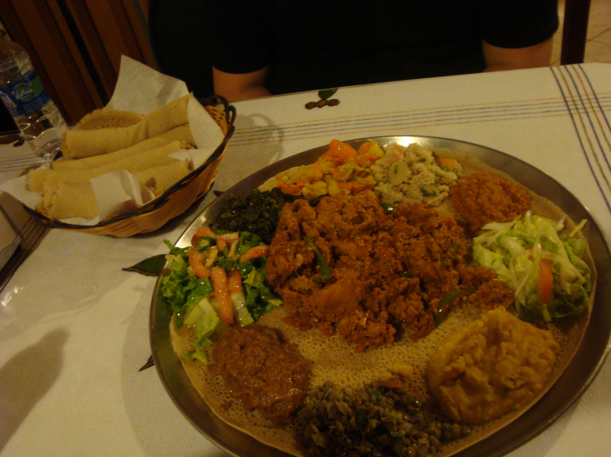 Injera's flour is made of teff, a grain thats only grown in Ethiopia. Even though injera's taste is similar to sourdough bread, the teff gave quite a uniqueness to it. After we ate we saw one of the workers prepare for a traditional coffee ceremony. We were so intrigued that we couldn't stop watching! This ceremony basically involves the brewing of the coffee, heating up the popcorn that accompanies it, and burning of incense. Our server was nice enough to offer a tidbit of this coffee to us in a tiny handleless cups with an Ethiopian flag on it. This Ethiopian coffee was very soothing, no need for milk!